Skylark or Alauda arvensis vintage engraving. Golden eagle or Aquila chrysaetos vintage engraving, vector. Manta ray, devilfish, Manta birostris or Cephalopterus vampyrus ray. 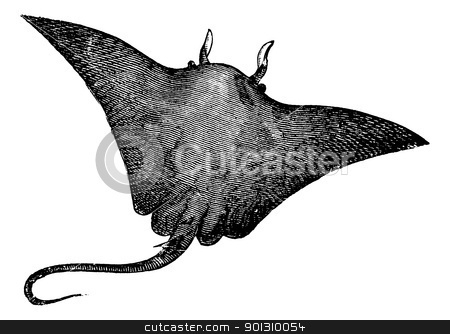 Old engraved illustration of Manta ray isolated against a white background.